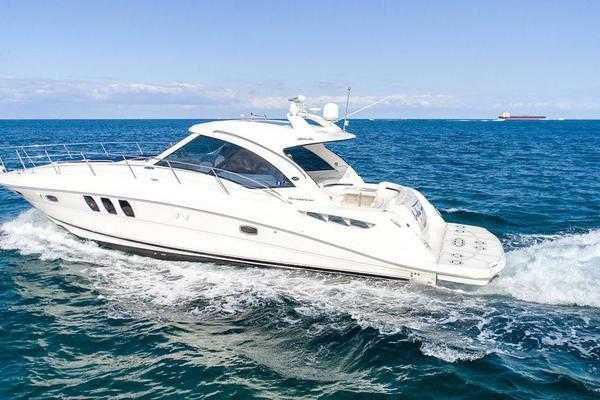 SugaRay is a Pre Owned 2014 Sea Ray 540 Sundancer that offers 2 staterooms & 2 heads. The full beam master suite is as comfortable and beautiful as most any yacht in its class. 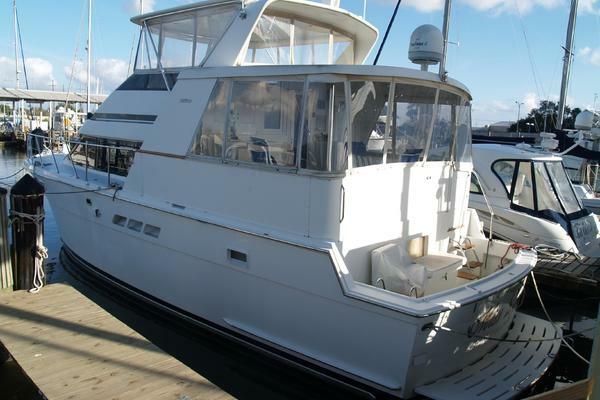 The large galley counter top is positioned along the port side of the cabin and gives you plenty of work space and plenty of refrigerated storage as well. Your guests will love the VIP Suite that is located forward. With a beautifully designed guest head that also serves as the day head for your in and out guests, they will leave feeling refreshed and pampered! SugaRay has a great cockpit layout that provides one large and elegant social zone. With a full wet bar with ice maker, fridge, sink, and Kenyon Grill, entertaining your guests is made easy! You'll notice the beautiful real teak wood flooring in both the cockpit and the swim platform. 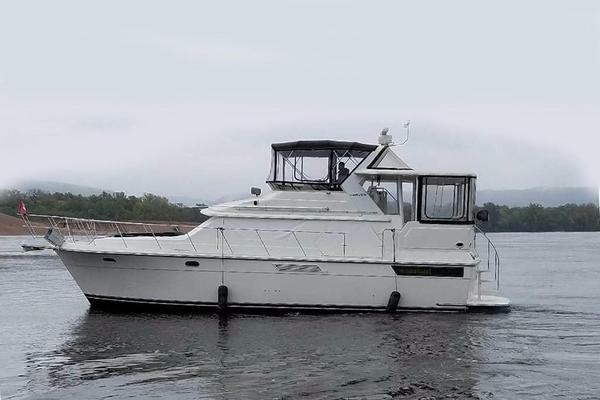 SugaRay is powered by twin Cummins Zeus 600 QSC and is equipped with joystick docking that makes docking a breeze, and with Skyhook and Auto Heading technology it's almost like having your own first mate on board! SugaRay is ready for a new home and it only takes a phone call to make it happen! Call or email today for more information!